Bestselling Programming Tutorial and Reference Completely Rewritten for the New C++11 Standard Fully updated and recast for the newly released C++11 standard, this authoritative and comprehensive introduction to C++ will help you to learn the language fast, and to use it in modern, highly effective ways. Highlighting today's best practices, the authors show how to use both the core language and its standard library to write efficient, readable, and powerful code. 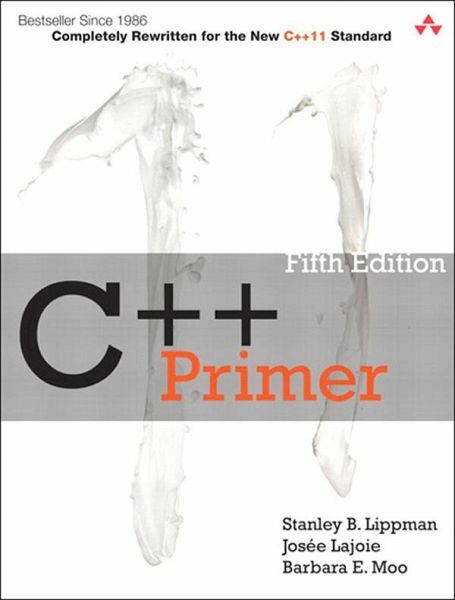 C++ Primer, Fifth Edition, introduces the C++ standard library from the outset, drawing on its common functions and facilities to help you write useful programs without first having to master every language detail. The book's many examples have been revised to use the new language features and demonstrate how to make the best use of them. This book is a proven tutorial for those new to C++, an authoritative discussion of core C++ concepts and techniques, and a valuable resource for experienced programmers, especially those eager to see C++11 enhancements illuminated. Start Fast and Achieve More Learn how to use the new C++11 language features and the standard library to build robust programs quickly, and get comfortable with high-level programming Learn through examples that illuminate today's best coding styles and program design techniques Understand the ';rationale behind the rules': why C++11 works as it does Use the extensive crossreferences to help you connect related concepts and insights Benefit from up-to-date learning aids and exercises that emphasize key points, help you to avoid pitfalls, promote good practices, and reinforce what you've learned Access the source code for the extended examples from informit.com/title/0321714113 C++ Primer, Fifth Edition, features an enhanced, layflat binding, which allows the book to stay open more easily when placed on a flat surface. This special binding methodnotable by a small space inside the spinealso increases durability. Stanley B. Lippman arbeitet in den ATundT Bell Laboratories, wo er an der Implementierung verschiedener Versionen des ATundT C Plusplus Compilers mitgearbeitet hat. Er hat C Plusplus in vielen Kursen für Anfänger und erfahrene Programmierer unterrichtet.